Seizure disorder is the third most common neurological disorder in the elderly after stroke and dementia. With the increasing geriatric population, the situation of clinicians seeing more and more elderly epilepsy patients is very likely. Not only is the diagnosis of epilepsy tedious in the elderly, its management raises many challenging issues for the treating physicians. Altered physiology, age-related decline in organ function, and plasma protein binding and altered pharmacodynamics make the elderly patients with seizure disorder a difficult group to treat. This is further complicated by the presence of comorbidities and polypharmacy which increase the chances of drug interactions. The adverse effects that might be tolerated well in younger populations may be disastrous for the aged. Although the newer antiepileptic drugs are found to have a favorable safety profile, there is relative scarcity of randomized-controlled trials involving older and newer antiepileptics in the geriatric population. This review tries to compile the available literature on management of epilepsy in the elderly population including evidence of safety and efficacy of newer and older antiepileptics with special reference to the ‘geriatric giants’. It also deals with the interactions between antiepileptic medications and other commonly prescribed drugs in the elderly such as anti-hypertensives and antiischemic agents. 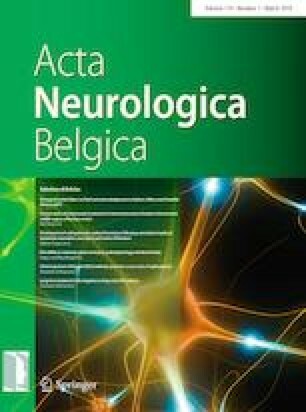 The recommended guidelines of various international bodies are also analyzed from the perspective of elderly with seizure disorder. The online version of this article ( https://doi.org/10.1007/s13760-019-01132-4) contains supplementary material, which is available to authorized users. Dr. Chakrabarti received honoraria from Novartis and Intas Pharmaceuticals. None of the other authors report any conflict of interest.